Location: Online custom training session. Trainer: MAU. Award Winning Digital Marketer and Social Media Trainer at eDigital. PRIVATE SESSION. This is a private online session that can be tailored to your specific goals. You are welcome to bring your top 3-5 agenda items. You can bring your top questions or key challenges you are facing. CONVENIENT. You sit wherever you want as the session is online via Skype. We send you some dates and time options you can choose from. SHAREABLE! Bring your team members. You can invite as many people you want. BEST STRATEGY FRAMEWORKS. With practical and effective examples, case studies and frameworks, you will learn how to build a successful Social Media Marketing Strategy that generate leads and tangible increases in sales results in the shortest time period. PRACTICAL TIPS. You will be shown top Social Media Marketing best practices, secrets, tricks, tips and tools most marketers do not know about it. OUR EXPERIENCE. If time allows, MAU. will also be talking on how eDigital uses social media, content marketing and SEO best recipe mix to get thousands of visits on this website. ✔︎ How to design your Social Media Marketing Strategy. ✔︎ How to find and target your most profitable customer via Social Media. ✔︎ How to design a consistent and impactful visual brand your most profitable customer would love to follow, like and comment. ✔︎ How to keep an engaged audience that bring more users to follow you. ✔︎ How to create a strong aesthetic, how to compose images and all the Social Media etiquette tips you didn’t know you needed to know. ✔︎ You will also get the chance to put their theories into practice by initiating your own Social Media Marketing Strategy. ✔︎ Free bonus: Have exclusive access to our Social Media Marketing Plan Template. Once payment is completed, we will confirm the date and time options for you to choose from. Become a Certified Social Media Specialist by developing skills that attract traffic to websites, promote and protect online reputation, and build brand awareness. Simplilearn’s Advanced Social Media Marketing Certification Training Course is aimed at educating and training students in the fast paced growing profession of Social Media Marketing. Students will be learn the most up-to-date and most advanced social media marketing techniques; developing skills in attracting social media traffic to the websites and promoting and protecting brand and online reputation. This course is aimed at learning the impact of e-commerce and how Social media has changed businesses in the field of marketing and communication. This course addresses the concept of online sales channels and how it relates to your existing Social Media goal and micro-goals. Marketing a business through Social Media, drawing more traffic and generating visibility and awareness for a brand or product. Advanced social media communication principles and platforms. Understanding how the emotions of sharing impact social exposure and why social media strategies must originate from a business goal. Identifying potential Social Media Marketing metrics for a campaign by describing the three key areas of business that social media can impact. Understanding the subtle and intricate details of effective Social Media Marketing. 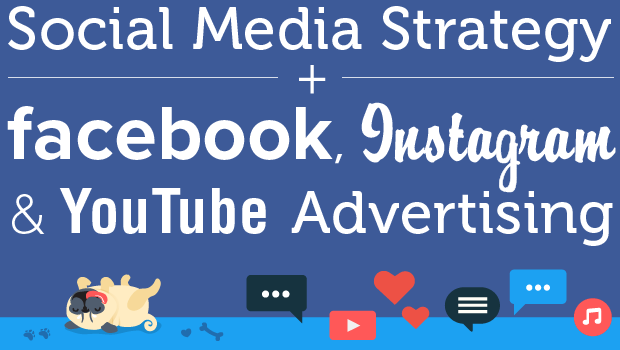 Effectively implementing Social Media strategies and tactics and creating marketing campaigns. Identifying the four ways to motivate consumers by listing the three key benefits of storytelling when it comes to consumer engagement. Attracting a larger audience and communicating with influencers. Deploying the latest strategies to plan, execute, and assess a comprehensive and effective social media campaign for corporations, government agencies, or non-profit organizations. Identifying the top social media channels you need to monitor for conversation about your brand and creating a list of KPIs for measurement based on your existing Social Media goals. According to the “Top 12 Talent Trends for 2016” by Hays; Social Media and Content Marketing are one of these top skills being demanded by Australian companies. Whether you want to enhance job prospects, advance your career (get promoted), secure your first Marketing role or simply but equally important attract new clients for your business; I invite you to check out the below list of current social media marketing courses offered in Sydney, Australia. eDigital Agency: MAU. from eDigital Agency runs hands-on, practical and tailored on-site social media training sessions in Sydney, Melbourne and any other major city in Australia. You can choose your specific social media topics and challenges and and he will train your team. Training sessions can include Social media essentials, Facebook marketing and advertising, keyword research for social media, Content marketing Strategy, Visual Social Media Strategy including Pinterest, Instagram, B2B including Linkedin, Slideshare and Blogging Strategy. Some Registered Training Organisations (RTO’s) based in Sydney offer Social Media courses for a fee. Delivery can be online or classroom type. Check their social media training program and the type of certification you will obtain – they can vary from certificate to diploma, bachelor, masters, etc. There are benefits and disadvantages for each of these options. What you will learn on a generic social media course it is very likely to not be a fit for your current social media challenges and will be out of date very soon as social media platforms quickly evolve. Certificate IV in Marketing and Communication and Diploma of Marketing and Communication – Specialised content in Social Media Marketing is included on these two qualifications. Online work given and lectures to attend weekly. Diploma of Business (Digital Marketing) – Online Course. $10.500. Bachelor of communications Digital and Social Media. Sydney Kensington Campus – Social Media and Networking course. Businesses and other organisations increasingly use social media as important means of internal and external communication, collaboration and learning. This course develops students’ ability to use social media for business purposes. Using with state-of-the-art analytical software, the course advances students’ technical skills necessary to perform social media analysis and evaluate to such analysis. The course advances students’ business skills to propose social media, analytics and networking based strategies that support different business functions and different types of organisations. Learning in this course is through hands-on experience with analytical software and the engagement with real-life cases of social media use in business. If you do not need an official certificate and your team is more interested on practical – ready to action – advice; eDigital runs custom social media courses, training programs, classes, sessions and workshops at our clients offices and can be structured for your specific social media objectives, activities, campaigns and challenges. Different to other Social Media services agencies (they run your brand social media on behalf of you) and training schools offering generic social media courses; we like to offer customised social media workshops and training sessions in Sydney and anywhere in Australia. To be successful at promoting your business and brand via social media you need to first set up your unique strategy and own and control your brand personality, voice and tone via social media channels. For this reason, we believe the best way for you to master social media for your business and brands is to have custom social media classes, sessions and workshops at your offices. Social Media Mapping. We will map out your business objectives, your customers demographics and psychographics (personas); your current marketing campaigns and content strategies. Spot areas of improvement. We will facilitate brainstorming and find creative ways of improving your current activity and offer you world’s best social media practices. Monitoring and tracking. We will teach you how to monitor and track your social media activity and progress so you have something to build from. Whether you are in Sydney Eastern Suburbs, Western Sydney, South Sydney, North Sydney or Northern Beaches, there are social media courses, trainers, instructors and teachers close to you! Sydney offers a variety of free and paid social media classes and sessions. Most of these public classes are run by: private schools, universities, industry associations, industry councils, local councils, meet up groups, libraries and social media software vendors looking to make social media practitioners familiar with their social media tools. Australian College of Business Intelligence. 10118NAT Diploma of Social Media Marketing. One year course. You will develop the social media strategy for a product or service you choose so at the end of the course you can use it as part of your portfolio. Intake Date: 16th October 2017 Classes: Monday to Wednesday (4:30 pm to 8:30 pm) Price: AUD$6600. Social Media Marketing Essentials One day in-class course $750 Circular Quay, Sydney CBD. Social Media Marketing Course One day in-class course $895 Circular Quay, Sydney CBD. Sydney City campus and Manly campus. Diploma of Business that includes Social Media subjects. Sometimes they run social media courses for small business owners and entrepreneurs. Check their website for future courses, classes, sessions and dates. Meet up Group – Runs monthly sessions and classes that include social media, digital marketing, seo, email marketing, content strategy, growth hacking and more. Most of the sessions are free of charge. Currently being held at co-working space: Fishburners in Ultimo, Sydney. One of the best Social Media training, classes and workshops including Instagram, Pinterest, Facebook, SEO and email marketing. Events website lists both free and paid social media courses and around Sydney including Nowra, Cronulla, Eastern Suburbs, Darling Harbour, CBD, Ultimo, Broadway, Surry Hills, Paddington, North Sydney, Northern Beaches, Sydney North Shore. Offers a Social Media bootcamp ( 6 hours) $180, Social Media Strategy Mapping classes $70 , The Rise of Visual Social Media (Instagram – Pinterest) classes $50 and “Grow Your Biz with Social Media” $50 classes. Social Media Strategy course in Manly Sydney. Demonstrating the return on social media investment is the #1 challenge for today’s marketers—and it’s critical to gain executive buy-in, budget, and resources. 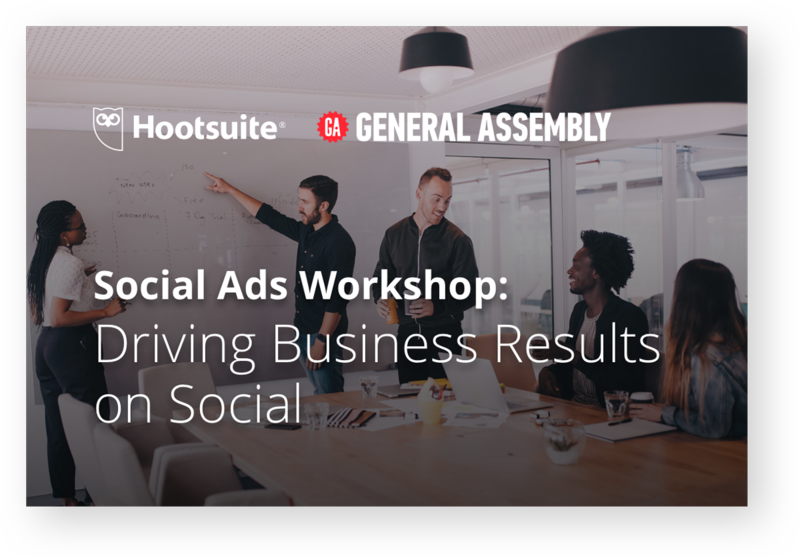 Join Hootsuite experts in one of our upcoming Social Ads Workshops where you’ll gain strategies, tools, and expertise to effectively measure and prove how your social media efforts can drive business results. These are invitation-only events and space is limited. Social Media courses in Sydney including content strategy, facebook marketing, video for social media, twitter for communications professionals, linkedin for organisations and more. Sydney Campus – Social Media bootcamps and one day courses. Sydney Northern Beaches Social Media Courses. TAFE offers a range of different social media courses around different Sydney campuses. “Smart Marketing – Attracting New Customers” class $40 – Includes identifying your target market, developing a Unique Selling Proposition (USP), understanding acquisition cost vs lifetime value, optimising your marketing return on investment (ROI), referral and repeat business marketing strategies, developing a twelve month marketing plan, understanding the role of websites, keywords and social media. The course is offered at the Sydney’s Hills shire council which is closed to Baucklam hills, Bella Vista, Blacktown, Kellyville, Cherrybrook, Dural, Parramatta, Pennant Hills, Rouse hill, Epping. Social Media Marketing Course – One day – $489 – 8 hours 9:00am to 5:00pm – runs regularly within the year. Trainer: Laurel Papworth. Buzz Web Media Social Media Marketing courses including Facebook, Twitter, Linkedin, Google+, Pinterest, Instagram, Blogging and email marketing. Facebook BluePrint Free training modules to learn about Facebook advertising. Hootsuite Social Media Marketing CertificationOnline course to learn how to use Hootsuite platform. New House – Hootsuite Advanced Social Media Strategy Certification. Western Sydney Institute (TAFE). Free Facebook tutorials on Youtube. WHY SYDNEY TO STUDY SOCIAL MEDIA MARKETING? How many places in the world you have an amazing summer, beach, go surfing, watch hump-back whales and dolphins and go to Social Media School on the same day? Sydney has a thriving start up community across different start-up incubators and innovation labs. These places are always looking for social media marketing support who can help them do the “social media marketing” magic with their brands. Some of these places includes: Fish burners, WeCo, Tank Stream and more. Sydney is one of the cities that offer the highest social media marketing salaries. An average social media salary can be around AU$69.000 per year and for senior roles it can go above 100k as estimated by Aquent Australia (see graph at the bottom of this article). You can also browse some few Social Media Jobs and get an indication of type of social media roles, skill set and salaries offered. Social Media is one of the skills more demanded at the moment by all industry type companies. As more marketing budgets shift to Social Media and Digital Marketing the more skilled talent is needed. There is no a better time to be working on Social Media. So, if you interested in finding out what are the best Social Media Courses in Sydney, this the article for you! How much time in a week you will be able to commit to study and practice social media marketing? Do you already use the most popular social media platforms? if not, best you start using them and get a feeling about them before taking a social media marketing course. How many hours of weekly commuting you can do to go to a social media school? 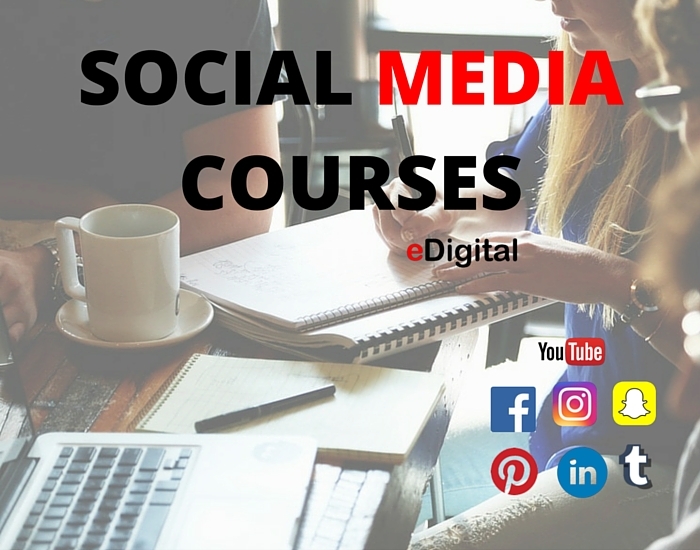 If not many, you might consider an online social media course. How quickly you need to start your social media marketing course? if you can wait, you might be able to negotiate a deal with the education provider. What is your brand’s overall purpose and can the power social media help you communicate your purpose? What does your brand aim to achieve with social media? Think about the steps along the customer purchase funnel. What exact content your most profitable customer segment craves from your brand? How will social media help you become an improved good/service provider? Have you mapped out your brand personality, voice and tone? Is the Social Media Marketing Course an accredited course? Who has given the accreditation? Are the teachers real practitioners helping local, national or international brands with their social media marketing strategies? How much actual time per week you should attend to classes and lectures. What teaching methodology they use to teach social media marketing? What tools and resources they use for teaching the social media marketing course? How many hours a week are you expected to practice what you learn. Do they offer online support when studying from home or office? Do you have to complete real assignments and/or put into real practice what you learn as part of the course content?